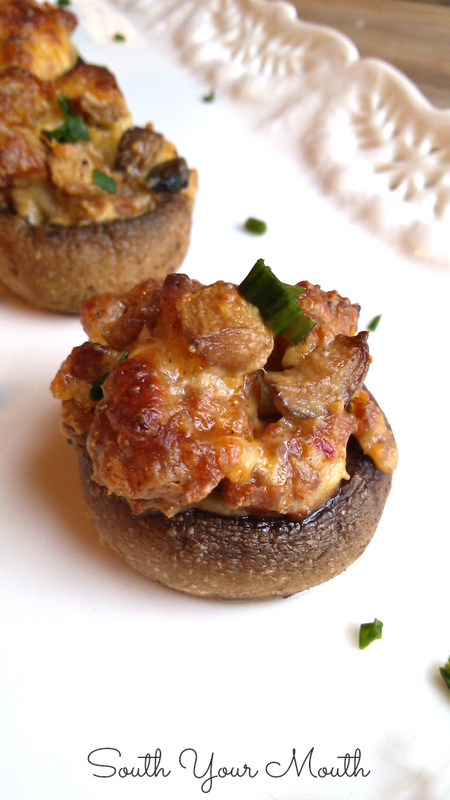 An easy appetizer recipe for mushrooms stuffed with Italian sausage and cheese. I make these bad boys every Christmas Eve and they are AH MAZE ING! I’m seriously thinking about using the stuffing mixture in a pasta dish or serving it as a luxurious side dish. Don’t look at the recipe and think it might be complicated. I just got extra descriptive in a few spots Y’all know how I do. Plus I wanted to break everything into individual steps. There’s nothing to this. It’s wicked easy and tastes divine! I think these will be hitting my tailgating menu and Super Bowl appetizer list. Fo sho! Clean the mushrooms by brushing away any dirt with a pastry brush or damp paper towel. Don’t wash the mushrooms as they will absorb the water and not cook/brown properly. Remove the stems from all the mushrooms and chop. Do this by applying pressure near where the stem connects with the cap. The stems will pop right off. If yours don’t pop off easily, trim the stems from the caps with a paring knife level with the gills. Remove casings from sausage if applicable then cook and crumble over medium heat in a large skillet until sausage is cooked through and crumbly. Remove sausage with a slotted spoon and place in a large mixing bowl. Add cream cheese and garlic powder to mixing bowl with sausage and stir until cream cheese is melted and combined well. Add butter, the reserved chopped mushrooms stems then salt and pepper to taste to the sausage drippings then sauté for 5-6 minutes or until mushrooms are nicely browned. Add sautéed mushroom stems to sausage mixture. Add shredded cheese to sausage mixture and stir to combine. Set mixture aside until ready to stuff the mushrooms. Spray two 13x9 cookie sheets (or one large jellyroll pan) with cooking spray then arrange mushroom caps, gill-side up, on pans. Sprinkle inside of mushrooms with a little salt. Stuff each mushroom cap with stuffing mixture, mounding the stuffing as high as you can get it (there’s plenty). 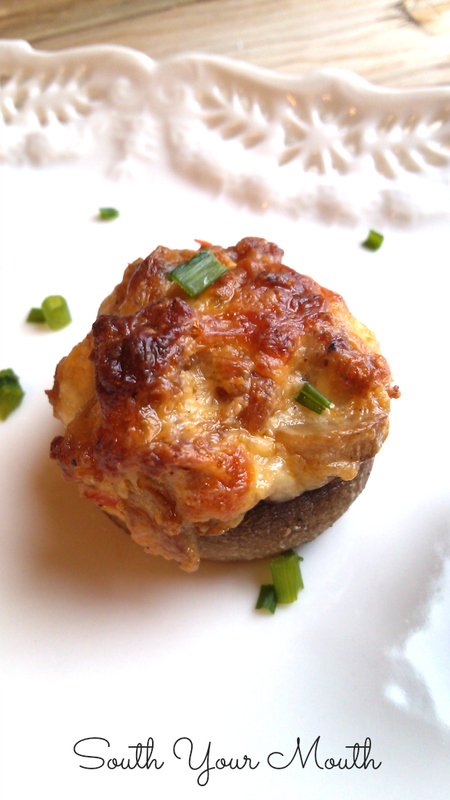 Bake mushrooms uncovered at 375 degrees for 20 minutes or until cheese is browned and bubbly. Let stand 15 minutes before serving. I actually like these best at room temperature. Garnish with fresh chives or parsley if desired. If you have any extra stuffing, spoon it into a small crock or ramekin and heat while the mushrooms are in the oven. The stuffing is divine with crackers! *Use whichever cheese you enjoy the most. My favorites in this recipe are mozzarella, cheddar and swiss! My husband likes mushrooms. However, the rest of my family does not. I would use this recipe to stuff some rmushrooms, but would like to use the rest of the mixture to "stuff something else." Any ideas? Umm... potato skins maybe? Artichoke leaves? I really love it on crackers too if all else fails! Maybe brush slices of Italian bread with olive oil, lightly toast and then top with this delicious stuff, lightly broil til all melty! If you like zucchini, slice one or maybe two lengthwise and clean it out, brush with olive oil, stuff with this deliciousness and bake probably like the mushrooms or maybe 350. Sprinkle with parmesan. MMMMMM!!!! This is my first time commenting but I love your site !! Though I don't care for mushrooms I'm going to make the stuffing, and spread on crackers. Sounds so good ! 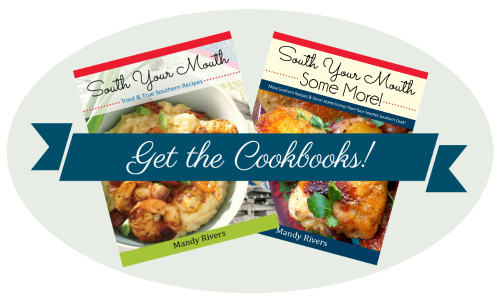 Thanks for all the wonderful recipes, and for all the smiles ! Hehe! Mainer approves this comment. :) This is a deliciously wonderful site. Hey Mandy! It's Stevie. Just wanted to let you know I still use your recipes because they're SO good :) Keep up the great work girl!